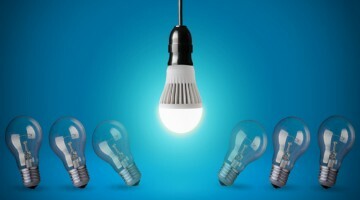 One’s IQ, or intelligence quotient, is a common indicator of how smart someone is. 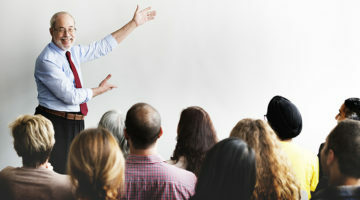 Often, people associate smarts with the ability to succeed. 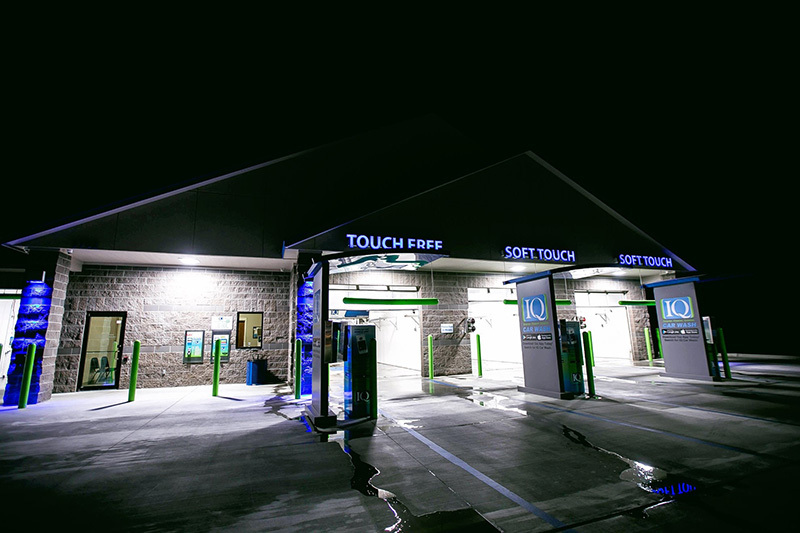 And, it doesn’t take a genius to see that IQ Car Wash, based in Blackwell, Oklahoma, has taken the self-serve/in-bay automatic (IBA) concept and turned it into a chain with a positive brand image that’s continuing to grow. Now, if the name “IQ Car Wash” sounds familiar — like, say, a type of IBA wash — there’s a reason for that, and we’ll come to that story later. 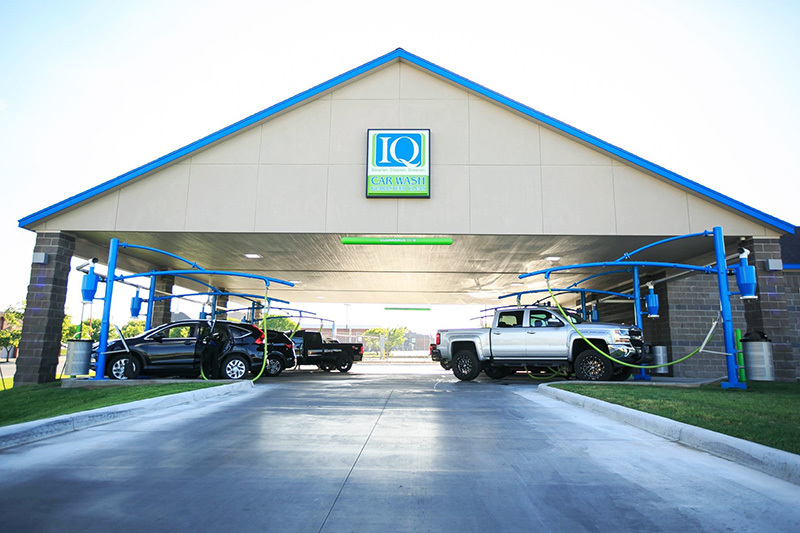 This IQ Car Wash, however, is a family-owned business operating in north-central Oklahoma. Of the four locations that currently make up this chain, Scott Shepherd, along with his wife, June, own and operate three of them Blackwell, Ponca City and Owasso, Oklahoma. Their son, Justin, and his wife, Carla, own a location in Bartlesville and are currently breaking ground on their second location in Stillwater, Oklahoma. Shepherd’s daughter, Kortney, handles the company’s marketing, advertising and mobile app management. Shepherd’s son-in-law, Alex Little, has also recently joined the business, where he has been streamlining operations and technology as well as instigating new-builds. The Shepherd family has a history of entrepreneurship in its blood. 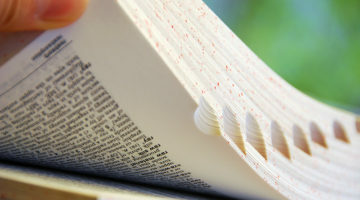 This know-how, combined with the visions of each generation, have given rise to a company that continues to succeed. In fact, with four locations already under their belt, the Shepherds have plans in the works to keep expanding, both within Oklahoma and even branching into Texas and Nebraska. Shepherd’s father started Shepherd Oil Co. in Blackwell in 1949. In 1983, Shepherd and June bought into the family business and grew it to the point where they owned several convenience stores as well as a fuel transportation business. During that time, the Shepherds also started their foray into the carwash business by purchasing an IBA for a convenience store they had recently acquired. Come 1999, Shepherd’s father was struggling with retirement and needed something to keep him busy, so the family consulted with a carwash equipment distribution company. 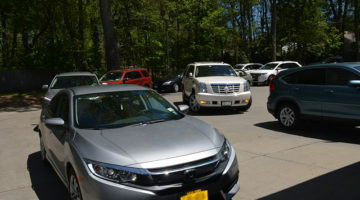 The owners at the time, Larry Qualls and Brian Merz, were instrumental in helping them decide to build their first stand-alone, self-serve carwash in Blackwell. 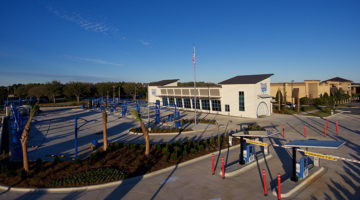 The wash featured five self-serve bays and one IBA. In 2001, the company purchased a struggling quick lube with a tunnel wash in Stillwater, Oklahoma. 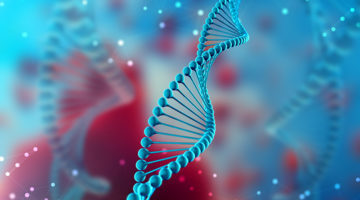 However, after only a few months of seeing the effort and number of employees it took to keep the business afloat, it became clear to the Shepherds that a complete overhaul was in order. They decided to transform it into another self-serve model, like their other stand-alone operation. “I learned a lot about the carwash business during that time, regardless of the fact that it was a sideline business, since our oil company was primary,” Shepherd explains. “The only thing I knew, other than the business of the oil company, was the carwash business,” Shepherd states. 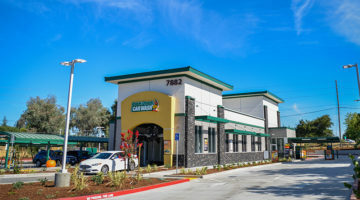 The resulting carwash didn’t look like your ordinary self-serve carwash — a long, boxy building with a flat roof perforated by several bays. 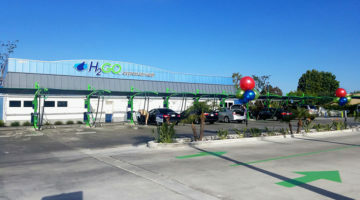 This carwash had a sloped roof with gables and was shaped like a symmetrical U, with one side of the U housing both soft-touch and touch-free IBAs and the other a covered vacuum area. Thus, Shepherd and Justin began to research building their first personally owned wash. Leaning on advice from Qualls, now co-owner with D&S Car Wash Equipment Co.; Jon Jansky, also a co-owner of D&S; and Merz, Shepherd purchased land in Ponca City and general contracted the carwash himself. When choosing a name for the carwash, Shepherd sought to set his business apart from the rest. “I didn’t want it to be another ‘Bobby Jo’s Suds Your Duds’ or ‘Mr. Something’s Carwash.’” I was looking for something that could become a household name — easy to say and easy to remember,” he states. 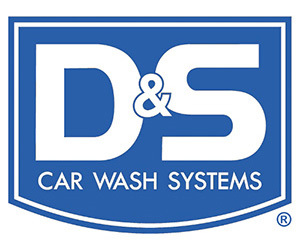 When Shepherd saw the new IQ Car Wash machine that D&S rolled out in 2013, he was drawn to both its “intelligence” and the IQ name. So, Shepherd went to Jansky and asked if he could use the “IQ” as his actual carwash name. “Since I had come from the fuel industry, where units were branded — Shell, Conoco, Phillips, etc. 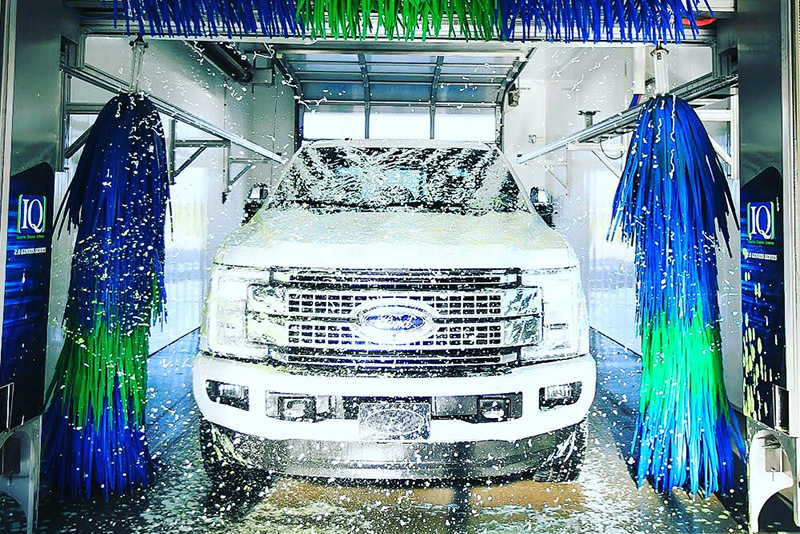 — he understood my vision for wanting to start our own ‘brand’ of carwashes and potentially grow the business, which would ultimately result in a win for both of us,” Shepherd explains. 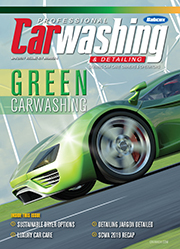 And so, the first IQ Car Wash came into being and opened in July 2013. 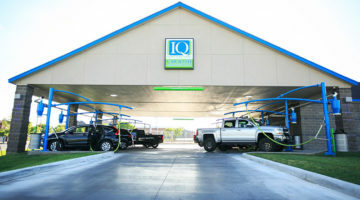 When starting his chain of self-serve carwashes, Shepherd once again took inspiration from the fuel industry: Quik Trip (QT), a convenience/gasoline retailer with over 750 locations, primarily located in the South Central and Midwestern U.S.
One of these business concepts and the high expectations IQ serves to promote is a “guaranteed clean,” Shepherd says. 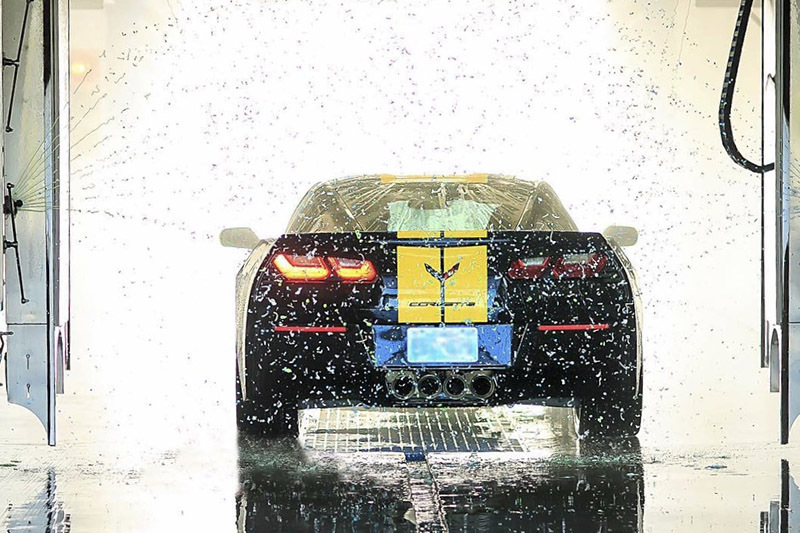 If a customer is not satisfied with his or her wash, the carwash will make it right. “Our employees do an exceptional job of handling and assisting the customers to ensure they have a positive encounter each time they visit IQ,” he adds. 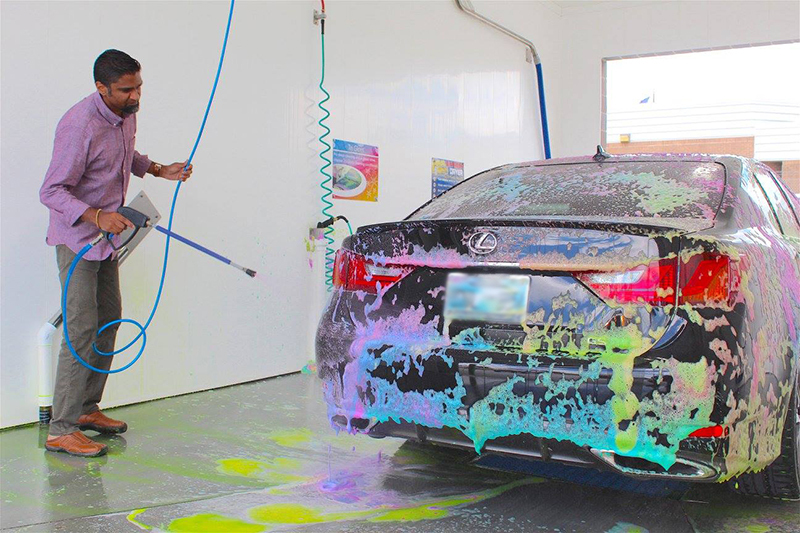 IQ Car Wash has set itself apart from the competition in several ways. For instance, the company uses a specific architectural firm to keep its look consistent across all sites. 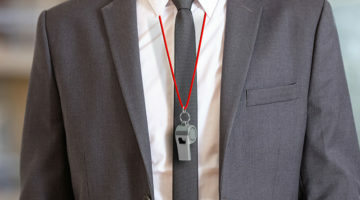 It also uses specific vendors to customize such things as the chemicals and the vacuums. Speaking of vacuums, it’s rare for self-serve carwashes to give this service out for free. 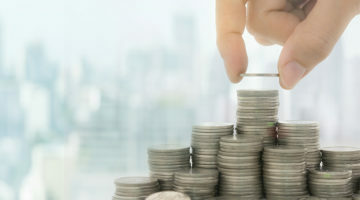 In the traditional format, the vacuums are stand-alone and just one more service customers can choose to pay for. However, IQ ended up going a different route. From the beginning, IQ operated like most self-serve carwashes and charged for its vacuums. However, when Justin decided to build his wash in Bartlesville, he wanted to offer free vacuums. The Shepherds have friends in Wyoming who operate several carwashes, and they were also in favor of offering free vacuums. Shepherd and June took a trip to Wyoming to see the new wash their friends were building and how it would function. Seeing this impact led the Shepherds to convert all their existing washes to offer free vacuums, and the operation will be incorporated into all future builds. Another innovative way this carwash brought in business was by embracing the mobile app culture. 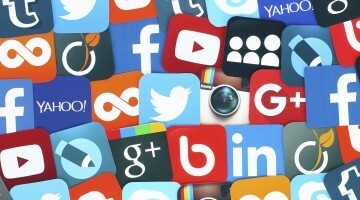 “We have a free mobile app available in Google Play and the App Store, which has exploded our automatic purchases,” Shepherd explains. By using the app, customers can purchase single washes or bundles (for discounts) for the automatic wash. IQ also has a loyalty program combined with the app that rewards customers with free washes after they earn a certain number of points. The business also sells prepaid cards and has a fleet account program, which is popular with the local businesses. Furthermore, the newest IQ location in Owasso is coin-free. Only accepting bills and credit cards, Shepherd notes, has proven to be a high-functioning concept. In fact, IQ has been so successful, that the Shepherds seek to help other families follow in their footsteps. 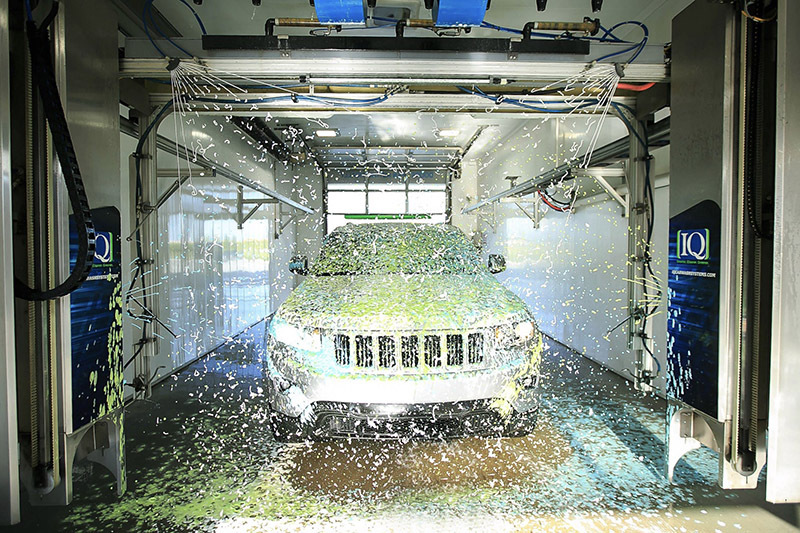 “From the onset of building the IQ brand and our first wash’s immediate success, my wife and I took the legal steps required to both trademark the IQ Car Wash name and be able to offer IQ Car Wash licensing agreement opportunities,” Shepherd explains. The licensing agreement allows the Shepherds to offer hands-on instruction and assistance to the licensee all the way from choosing the right site to undergoing construction, hosting opening day and performing daily operations. 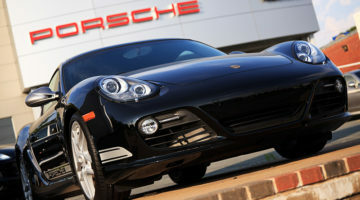 More information is available at www.iqcarwash.com. 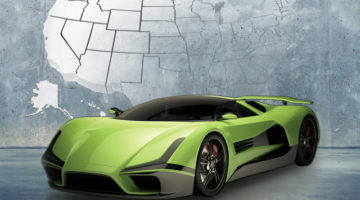 “Knowing God told us to pursue this, but not knowing what its outcome would look like, we have been graciously blessed with the opportunity to assist several families who want to build and operate their own IQ Car Wash,” Shepherd concludes.